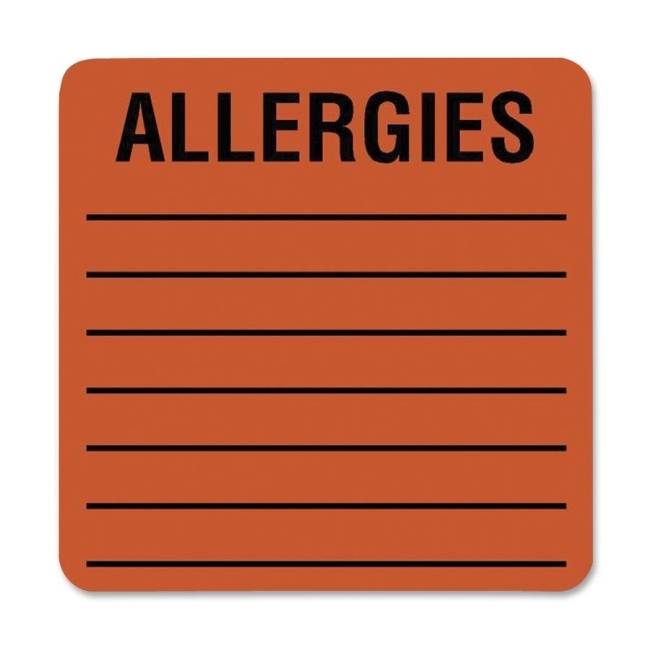 Square medical labels for allergies alert staff of patient allergies to avoid medication mishaps. Fluorescent, easy-to-read labels stand out on patient files and charts and clearly state the word "Allergies" in capital letters. Simply write in the allergies on the provided seven lines. 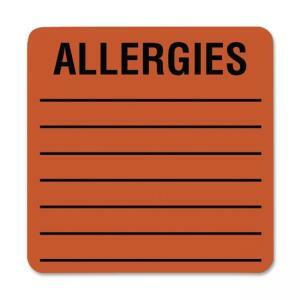 Self-adhesive back makes the allergy labels easy to apply.